Inspire me: Style & Design! 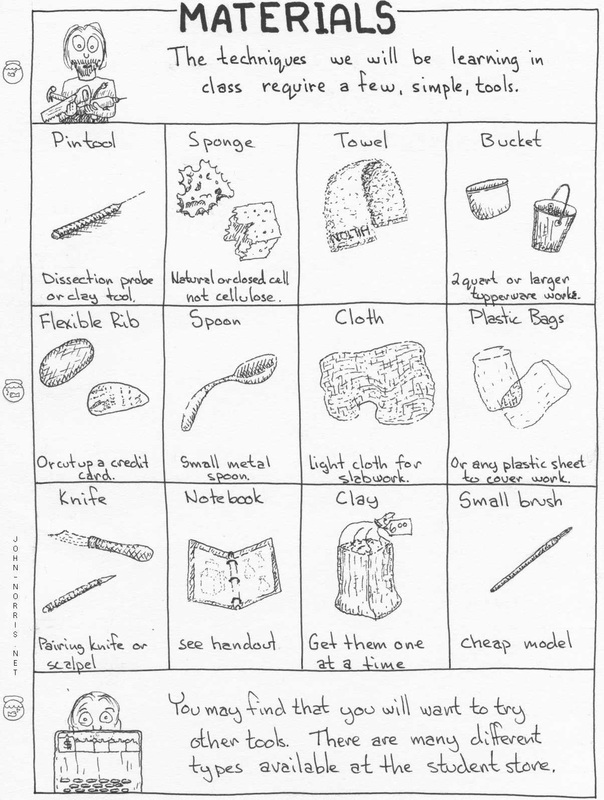 Here is a visual list of many of the tools we will use to explore our new medium, clay. 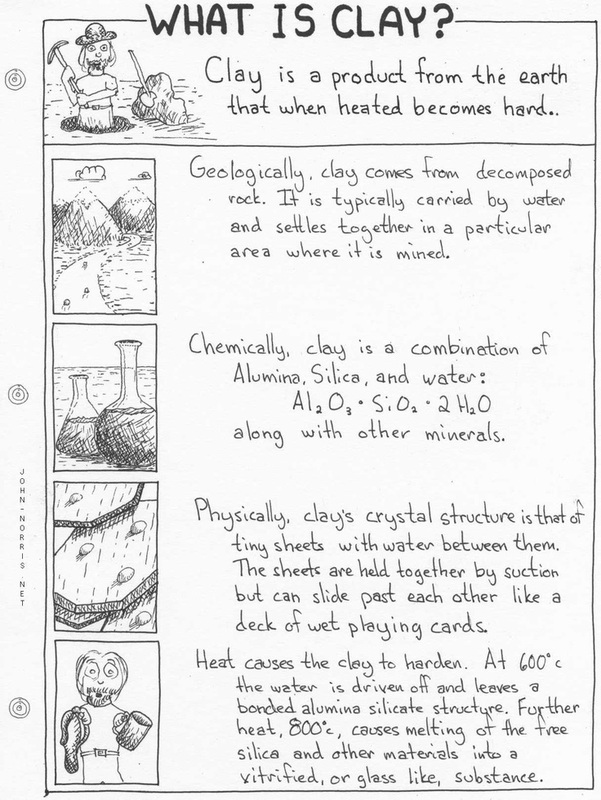 Below are some fast facts and visual guides from John Norris that will help you understand the nature of clay and where clay comes from and the process that takes it to its final phase as the product we are creating, the heat process known as 'firing'. 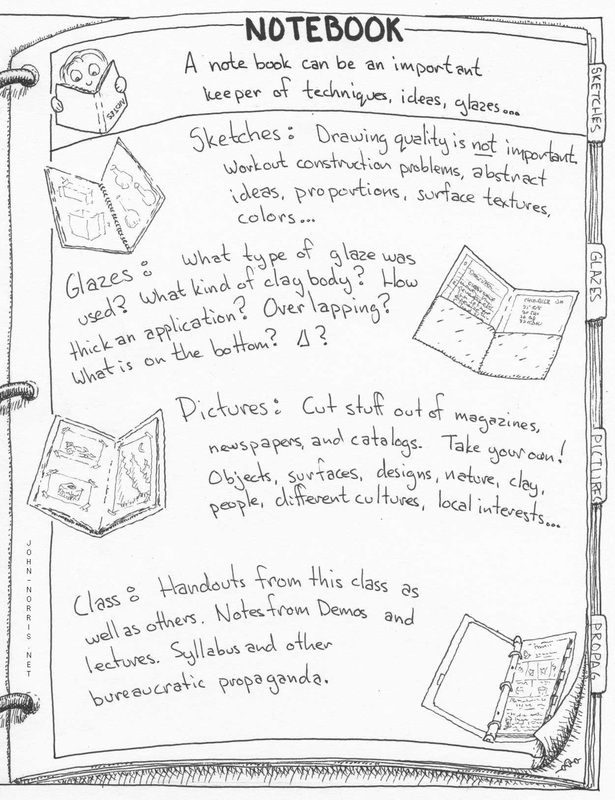 In our class, we use a sketchbook as part of our creative process where we can document our thoughts, ideas and project development as well as newly-learned knowledge. 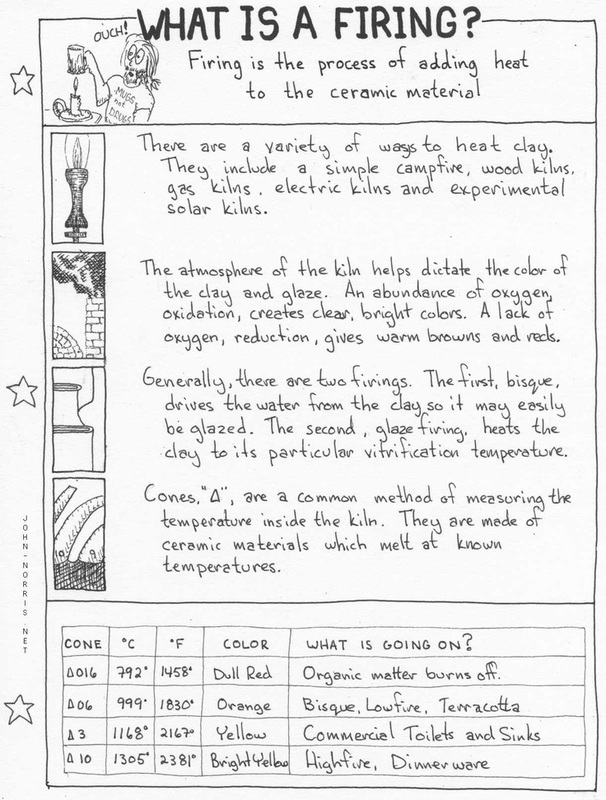 Below, here are some ways you can use your sketchbook to document and plan out your learning during our clay unit. We will be painting our ceramics with either acrylic paint or glaze. 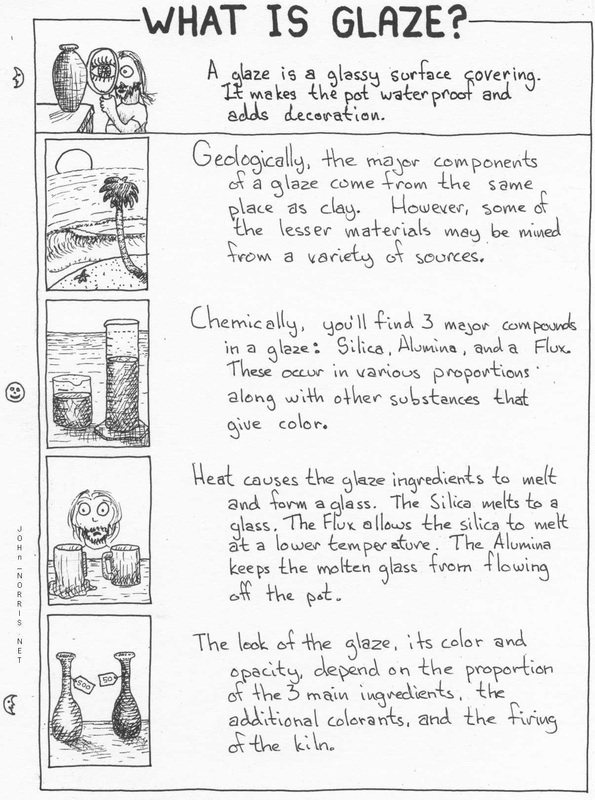 Glaze is not simply another type of paint, but a very special product specifically used in ceramics.